Is Your Website Selling Your Small Business Short? - Mischa Communications, Inc. Mischa Communications, Inc. There are a lot of tools for marketing your small business – from social media to e-newsletters. However, your small business website has the potential to be one of the most effective…if it’s an accurate reflection of your brand! Take Mischa’s website, for example. We’re a quirky, witty bunch with a chameleon for a mascot, so our website mirrors our eccentric personality and approach to small business marketing. Our goal is to demonstrate that we’re far from being a traditional marketing firm. 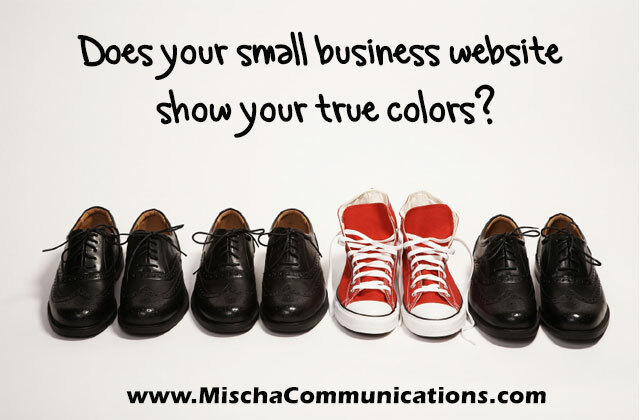 What’s the goal of your small business website? Is it to tell the world about your small business? Inform people about your products or services? Provide a contact point? Generate new leads? All of the above? Whatever your goal, your website should accomplish it, and do it in a way that’s distinctively “you.” If it’s not, then you’re in for a long, slow climb up Mt. Indifference. And trust us, the view from the top isn’t a great one. If you’re trying to sell the next great unicycle to college kids everywhere, your website shouldn’t look like some boring, stuffy relic from the previous decade. It needs to be innovative, hip and really convincing. Because let’s be real, it’s going to take a lot to convince people that unicycles are a good idea. Conversely, if you’re attempting to sell big businesses on your revolutionary new stock trading software, you should avoid the use of the word “dude” on your site. Find the right voice for your site, and make sure it stays true to your brand and audience. You have a goal in mind for your small business website. The trick is communicating that goal to visitors. If you’re trying to generate new leads, don’t bury your contact info beneath pages of mumbo-jumbo. If you want to start a conversation with your readers, put your social media buttons or links front and center. Design your site so that visitors arrive with questions and leave with answers. Flashy animation, graphics, videos and too many links can turn people away before they get your message. Keep your site clean, accessible and simple. A messy site gives the impression of a messy business, and that’s definitely not the message you want to send. Creating a dynamic website that reflects your brand and doesn’t cause anger or eyestrain can be a real challenge, but trust us, it’s 100% worth it! If you need help crafting the perfect site, Mischa has a team of awesome people with a passion for web content, design and analysis. Contact us today for more info on building a website that’s as unique as your small business!